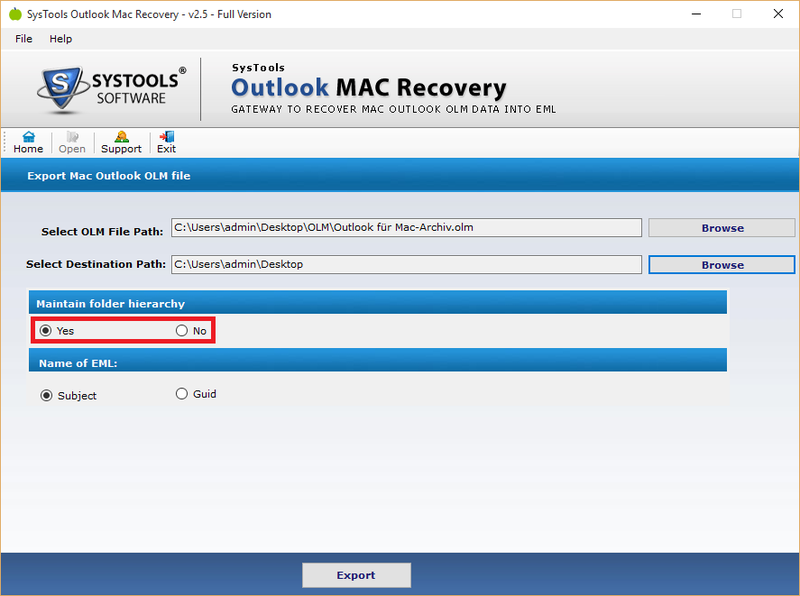 The Outlook Mac Recovery tool enables the users to save multiple emails from OLM format to EML files. The software creates a single .eml for each mail available in the .olm file. It will also convert attachments along with associated emails after repairing the corrupted OLM files into resultant EML file format. Using this OLM Data Recovery Software, users can repair corrupted OLM files and get them exported from Deleted Items Folder. 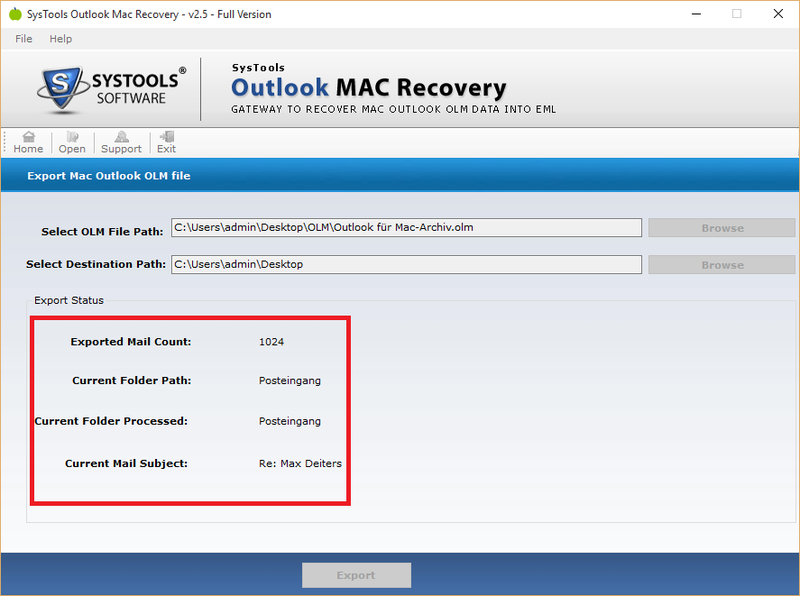 This helps users to completely restore Outlook Mac emails even if they are stored in the Deleted Items Folder. Therefore, it makes possible for the users to recover emails from Deleted Items Folder, Sent Items, Drafts or other folders. 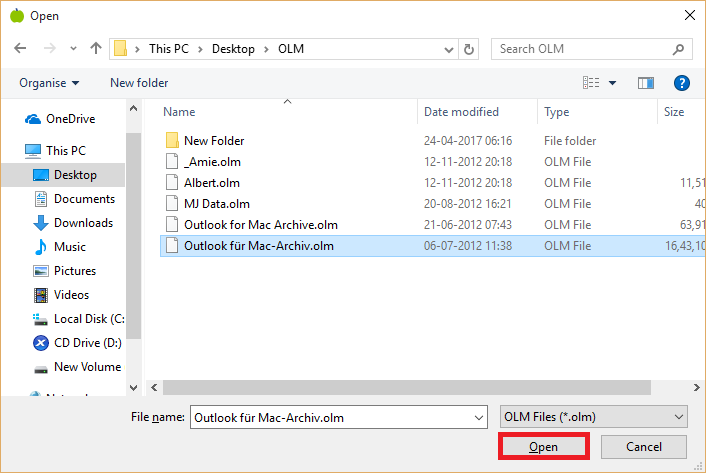 The OLM File Repair Tool allows the users to maintain the folder structure of the data same as it was before converting Outlook Mac data file. It also provides users with an additional feature to keep the folder hierarchy maintained. They can choose “Yes” or “No” as per your requirement. It saves the output .eml file in same folder hierarchy if a users select Yes. 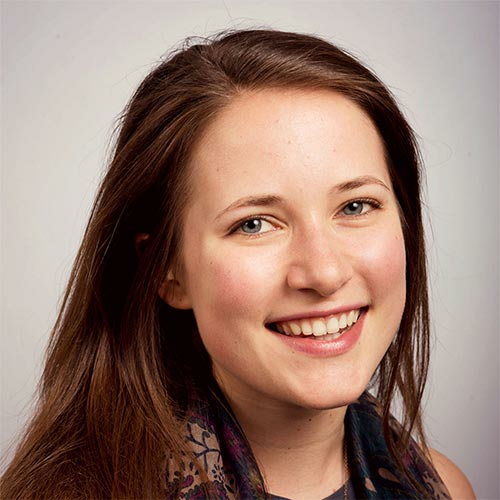 Save as Subject – All EML files will be saved according to the subject of the email. 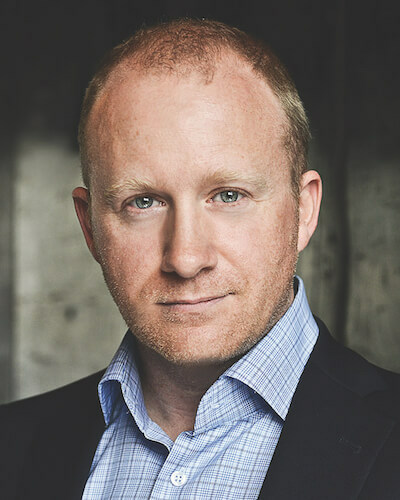 Save as GUID – Create a unique identifier code to save files in .eml extension. After the successful completion of the process to recover corrupted OLM files and saving them in EML file format. The tool generates summary of the entire process. The export report provides details such as Exported email count, the path of current folder, the folder being processed currently and subject of email. Using the trial version of OLM File Repair Tool, users can repair corrupted OLM file and save 50 emails to EML file. Can I also repair corrupted OLM files using this software? The OLM Data Recovery Tool can easily recover damaged OLM emails and get them exported to EML extension. My OLM files are stored on Mac machine. So, how can I use this application on Windows system? You can repair corrupted OLM files on Windows machine by just copying those files from Mac system to Windows OS with the help of any removable storage device. 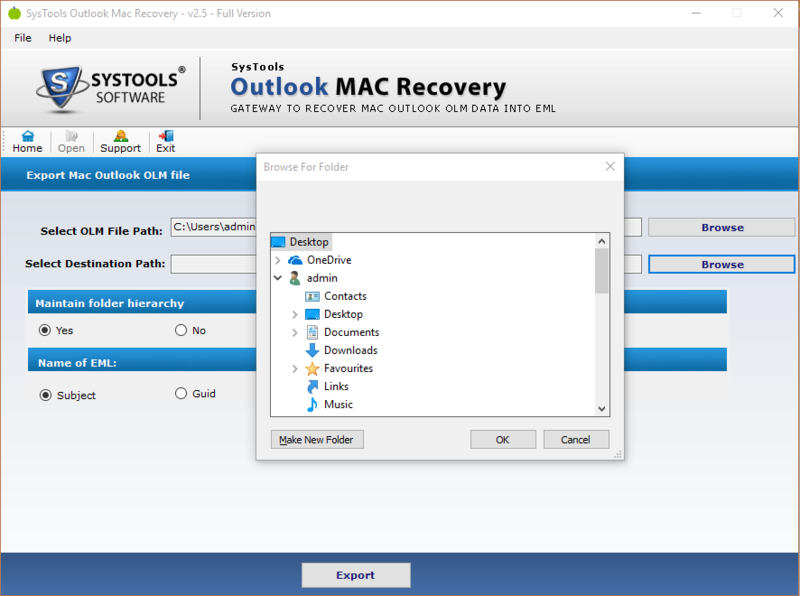 How many files can I recover at a time using this Outlook Mac Recovery Software? You can repair one OLM file and convert it to EML file format at one time using this tool. Is it necessary to run this tool on system where Outlook Mac is installed? No, the OLM Recovery Tool should be installed on Windows OS of any version and does not require any Outlook Mac to be installed on system. What is the maximum file size of OLM data file which is supported by the software? There is no such file size limitation imposed by the application. It can recover OLM files of any size successfully. Does this software requires EML supportive email client to be installed for conversion? 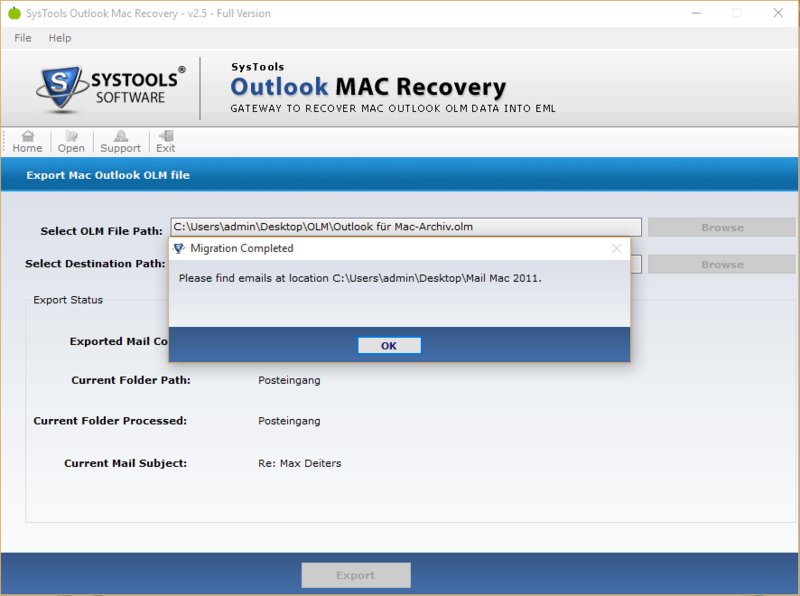 No, Outlook 2011 Mac Repair Tool does not require any EML supported email application to be installed on system. It works as a standalone application. Some of my important emails of OLM file got damaged recently and I tried multiple solutions to repair corrupted OLM files over the Internet but didn’t found any useful solution. Finally, one of my friends suggested me this OLM Recovery Software and I successfully recovered all my damaged data with ease. 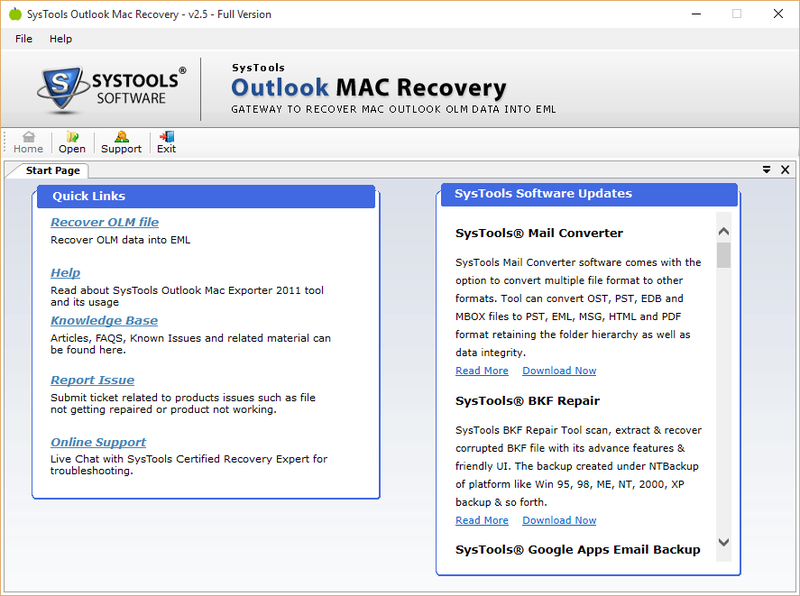 I am highly impressed after using the demo version of Outlook 2011 Mac Repair Tool. 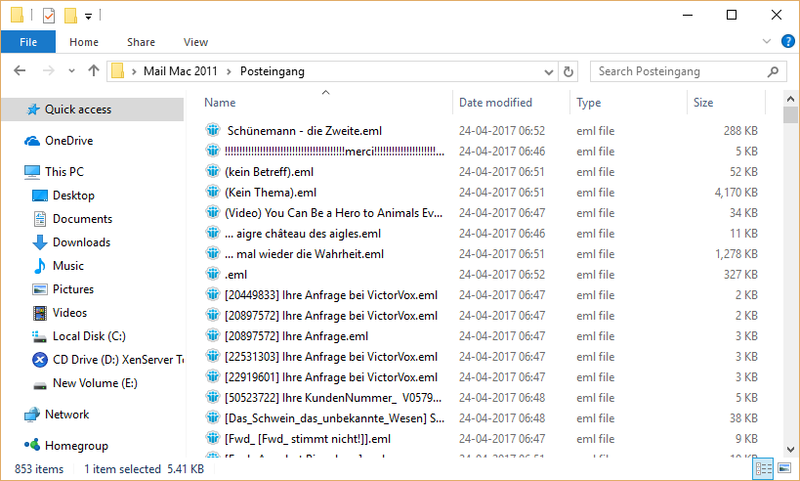 I successfully recovered Outlook OLM files easily and it is the main reason why I purchased the licensed version of it. I was nervous that how the software will work but thankfully there was a demo version available to check the working. My entire business communication relies on Outlook Mac email client. Once, the OLM data file got corrupted and the communication came to a halt. Then I searched for a reliable utility and found this OLM File Recovery Software. Using this application, I recovered all my data back to healthy state in countable minutes.